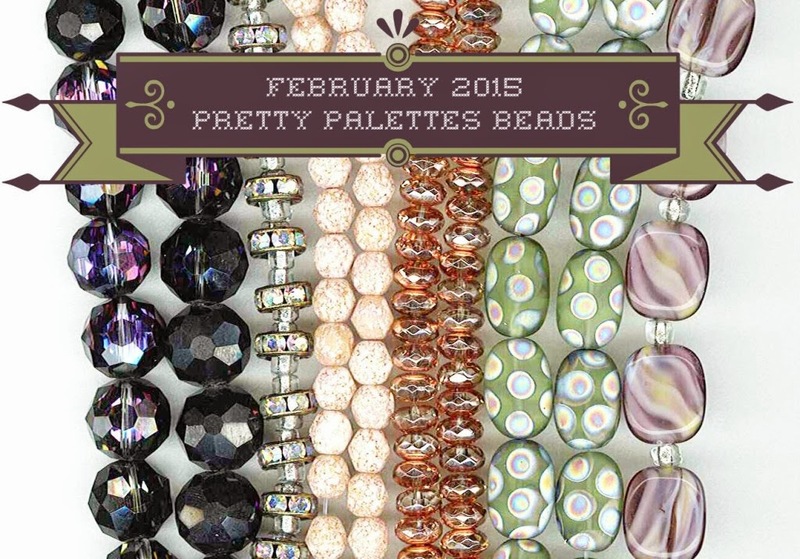 Today is the Reveal for Halcraft's Pretty Palette challenge hosted by Erin Prais-Hintz! I was lucky enough to be asked to participate as a Pretty Palettes Partner. Here's what I had to work with! 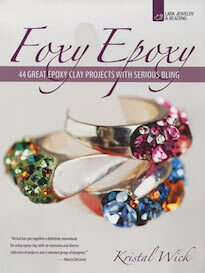 Erin sent along an assortment of swirly pale purple, mottled pink, dotted green, flashy copper, and luscious black. The black wasn't really black though; it was faceted crystal coated with an AB finish and coated again with a dark finish on half the beads. The result is the illusion of great depth. She also included crystal encrusted rondelles. Here is the piece that I made. At first I was going to focus on the night sky aspect of the image, and maybe do something with constellations. But as I read over Erin's introduction to this month's challenge, I was moved to create something with a mythical creature. I sculpted the dragon out of polymer clay and used one of the "black" crystals for the eye. When you look closely, you can see the line created by the drilled hole. I thought it looked almost exactly like the inspiration image! Once I finished sculpting the dragon, I attached the wing (which has a small range of motion) and a bail on the back so that it could attach to the base of the necklace. When everything cured, I painted the dragon with acrylic paints and pearlescent pigments, and touched it up with Gilder's Paste to bring out the highlights and make the details extra pronounced. Here's a close-up of the dragon's face. I'm happy with the way the piece turned out. I feel honored to be able to participate. Thank you, Erin! If you want to see what the other participants came up with CLICK HERE. 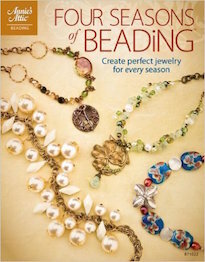 Make sure to add your link if you created something with the beads from this creative challenge! 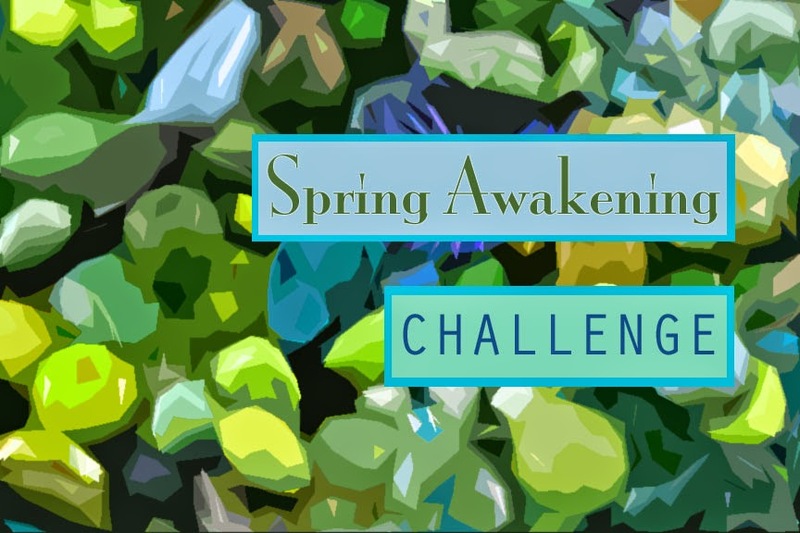 The next challenge coming up is the Spring Awakening Challenge! I meant to post this last week, but we've been busy bees. A little tardy, but this is the reveal of the Mystery Component. I made a polymer clay pendant with a floral motif. I detailed it with opalescent paints and pigments. To find out more about the Spring Awakening Challenge, CLICK HERE. And make sure to stop back on Thursday, March 19th to see all the creations made with the kits! Many thanks to everyone who snagged a kit! Thank you! It always means a lot to me when the kits resonate with people and they want to challenge themselves creatively with one of the kits that I put together. This Special Challenge is... well... special to me. I've been wanting to do it for such a long time. I'm glad that it could finally come to be. I can't wait to see what everyone will make! The latest Special Challenge is here! This one is a Steampunk-themed Design Kit and is called, Amethyst Aether! If you're not familiar with the challenges, it's a fun and informal way to creatively challenge yourself. To participate, you must purchase a Design Kit. This kit features a selection of premium Czech glass (both vintage and new), pyrite, dyed jade, African trade bead, copper lobster claw, leather, vintage French seed beads, waxed Irish linen, vintage Hamilton gold, Ethiopian brass, recycled sari silk ribbon, base metal castings, hex-cut Japanese seed beads, and a Luxury Bead Blend. The Luxury Bead Blend consists of Japanese Miyuki seed beads, Toho seed beads, Japanese Matsuno seed beads, vintage Czech seed beads, antique French seed beads, vintage Venetian seed beads, freshwater pearls, vintage trade beads, Czech glass (both vintage and new), Javanese glass, jade, stone, vintage sequins, German glass, tiger eye, howlite, amethyst, base metal castings, rose quartz, electroplated quartz, bugles, Swarovski crystals, vintage Japanese glass, vintage lucite, jasper, agate, glass pearls and MORE! But that's not it! Each kit will also include a special, handmade Mystery Component! Each kit will come with one and it'll remain a secret until it arrives at your door! The Mystery Component will publicly be revealed on Monday, March 23rd! With the Frenzied Motion Challenge just announced, the last thing on my mind was creating another challenge so soon. 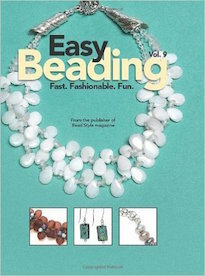 I was digging through boxes and found a copy of Beadwork magazine from 2008 featuring an article by Melanie Brooks. I had been interviewed for the article and it reminded me of wanting to do a Steampunk challenge. 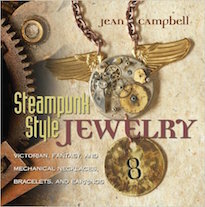 I thought of it again in 2009 when Jean (Campbell) Cox's book, Steampunk Style, came out. I was also in that book. Most recently, I thought of it when we hosted a Steampunk Party at Allegory Gallery. It just never seemed to work out timing-wise. As I continued to unearth treasures with a steampunk vibe, I finally said... "What the heck?!?! Why not? Why not have a Special Challenge?" I had started with a palette of antique brass, burnished golds, and worn leather. I included a little bit of copper and beads in warm tones of toasted almond and sandstone. As I looked at it longer, it just seemed too stereotypically Steampunk. So I conjured up an image in my head of this other world, that took a different path. I imagined an aether-filled zeppelin, floating across a cloudy sky at twilight. The pale purples, in shades of amethyst, lilac, and lavender contrasted against the antique bronze. And there it was... the missing element. In the article by Melanie Brooks, I was quoted saying, "The soul of Steampunk is a combination of nostalgia and rebellion." The contrasting colors capture that spirit. With your kit, using as much or as little of it as you like, create a piece that showcases your creativity, individuality, and artistic expression. 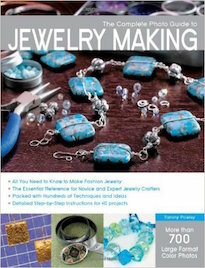 Ideally your creation will spotlight the great assortment of beads included, but the sky is the limit with what you can make! Feel free to use beads from your own stash to augment the offered selection. Whether you use a little or a lot of your kit, make sure to keep your project a secret until the reveal date! The reveal date is set for Wednesday, April 22nd 2015! Post a picture on your blog or send one to me to post on your behalf (if you don't have a blog of your own). 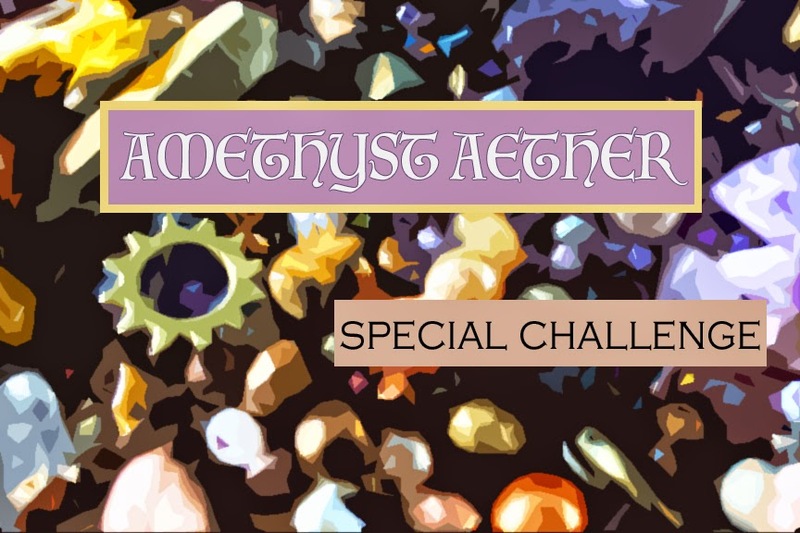 The Amethyst Aether Challenge will end up in a blog hop, sharing all the lovely things made from your kit with your fellow participants. I also wanted to mention that all the Design Kits will be shipped with Priority Mail. This can take anywhere from one business day to fourteen. (Especially with snow delays.) For international participants, it may take longer! If you know that it takes a long time to reach your destination (from Southwestern Pennsylvania) please place your orders early! I will do my best to get your kits out as early as possible, but unfortunately we can't be held responsible if it arrives late due to the postal service. All sales of the Design Kits are final and there are no returns or exchanges. With that being said... we hope you have a ton of fun and I can't wait to see what you make! Andrew put together a kit inspired by the Color of the Year and Valentine's Day. See what everyone made for the Marsala Valentine Challenge! The hearts are full and the resin is flowing. Check out even more projects from artists participating in this collaboration. Modern Country Knits is full of wearable designs and adorable farm animals. 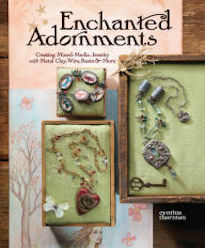 When you've got a really special focal bead, you just don't want to overwhelm it with embellishments. Here's Cyndi's solution! When I was a little boy, I would stare up into the night sky and imagine swirling nebulas and exploding stars. This interested in the interstellar was encouraged by growing up near the heart of the Space Program. I remember standing outside lining up along the chain-link fence with my classmates. We held our hands up to shield our eyes against the sun. Our calves and the arms reddened as we watched the shuttles take off, a streak of light and a pillar of smoke. Later on, my attention drifted earthward and found purchase in mythology and ancient civilizations. I was fascinated with the unearthed crusty artifacts... particularly the jewelry and talismans. I developed this series to marry those childhood curiosities. The rustic components are formed by hand in porcelain, fired, and then hand-glazed with a matte velour glaze. After everything is fired again, the pieces are tumbled to bring out the details and enhance the silky-satin feel. The pieces are then stained with permanent inks, detailed with opalescent paints and pigments, and touched up with colored wax and Gilder's Paste. I tried to achieve iridescent effects found on Ancient Roman glass and raku-fired ceramics. I wanted to capture the shimmer of butterfly wings and the flash of fish scales. I built up layers of color. I sealed them with spray fixatives and heat, but like all ephemeral patinas, depending on the wear and usage of the components, the finish might come off. I did a couple of scrub tests and things seemed to hold up pretty well, but I wouldn't feel right if I didn't include that disclaimer. All the pieces in this series are handmade and even though all of them were made during the same work session, they are all slightly different unique. They are done in a "rustic" fashion, meaning that there are glaze drips, ink smears, worn spots (from tumbling) and slightly uneven and irregular shapes. I've purposely tried to give them an organic vibe. I'd like to think that these little "imperfections" give the pieces lots of character and charm! 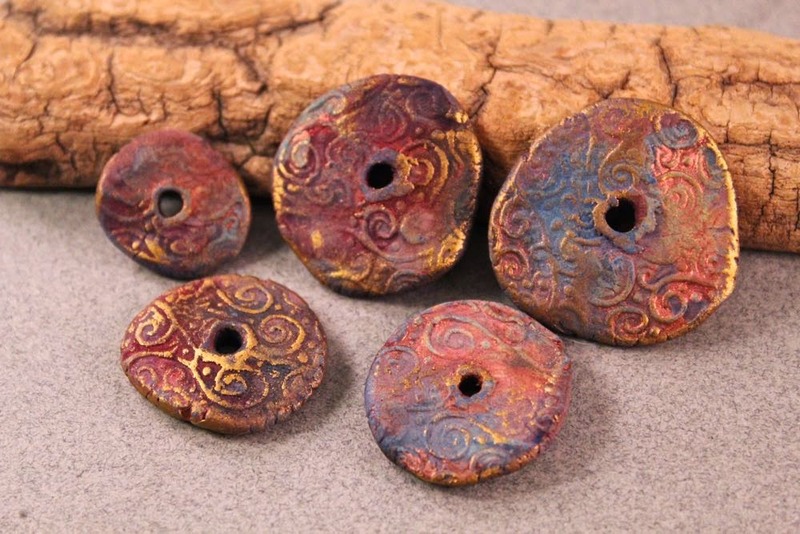 If you're interested in seeing all the beads in the Cosmic Relics Series, CLICK HERE. I've listed 25 lots including all the pieces from this post. I'm really pleased with the way they turned out. Originally, I wasn't going to add the additional layers of color, but I'm glad I did! It gives the pieces much more depth and mystery! 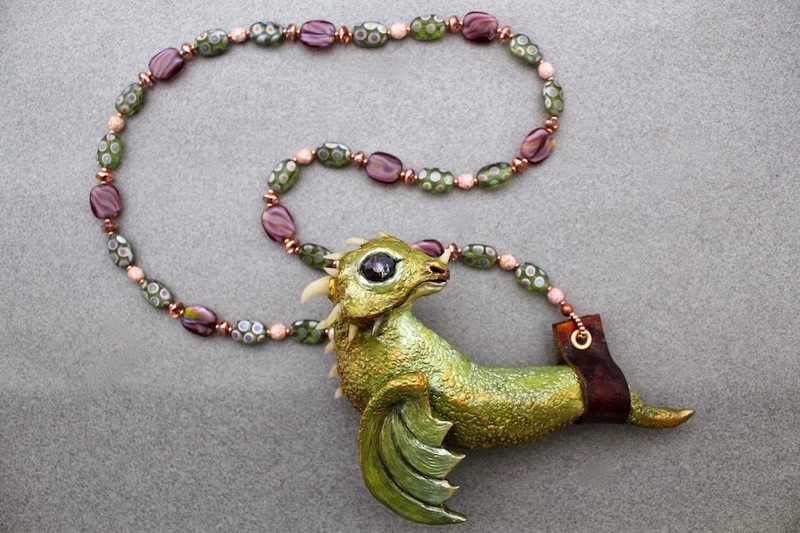 Back when I was on an episode of Beads, Baubles and Jewels, I shared a few polymer clay masters that I sculpted. Since then, I've made molds of the pieces and cast them in resin. 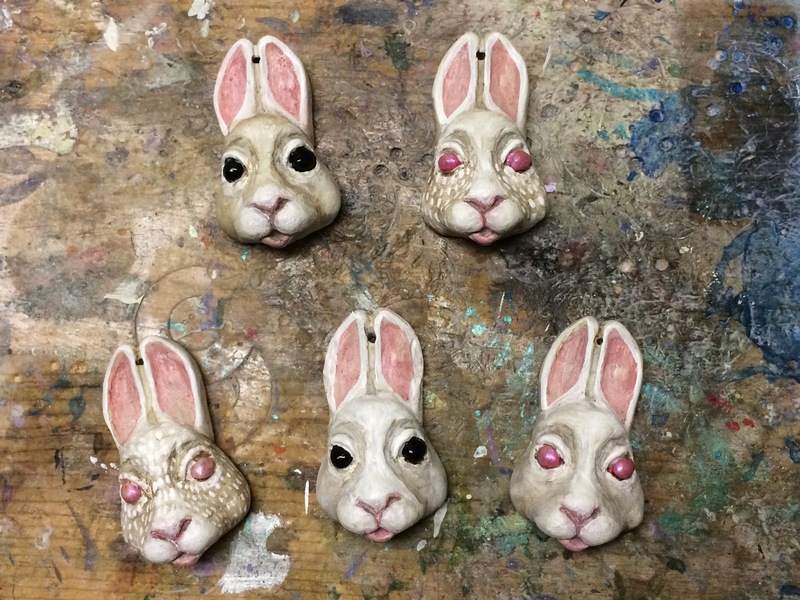 Maybe it's wishful thinking, but spring has been on my mind and I have been making bunny pendants/ornaments. After I poured the pieces and cleaned up the edges, I drilled hanging holes. 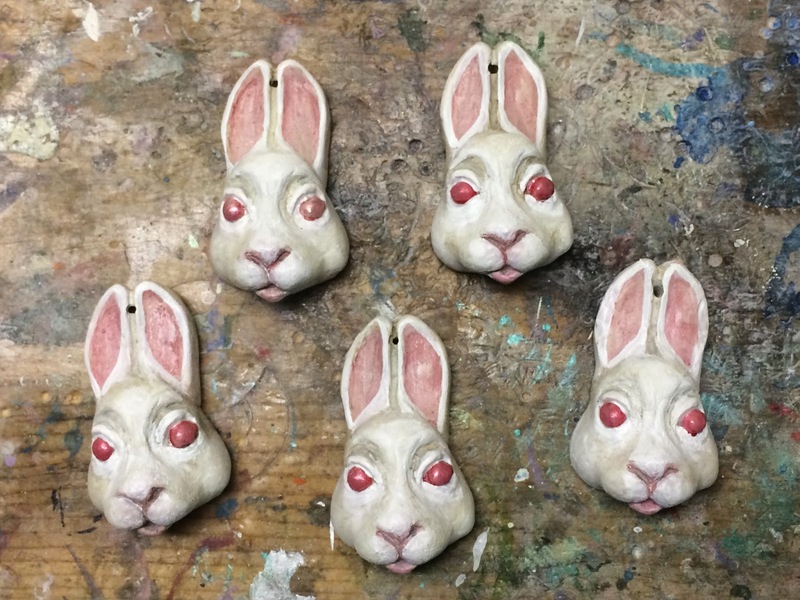 I then painted the pendants, layering washes of acrylic paint. I liked them, but I wasn't completely satisfied. So, I took them back to the work bench and adjusted a few things. One of the things that bothered me was the sort of vacant, coral-colored zombie stare. I played around with adding pupils, but that only made them look more possessed. Instead, I made the entire eye big and black and that seemed to help. In the other three, I did washes of iridescent paint and toned down the red of the eyes. I liked that as well and decided to leave them. I also played around with a stylized fur patterns and additional washes. It took a little while, but I'm happy with the way they finally turned out! 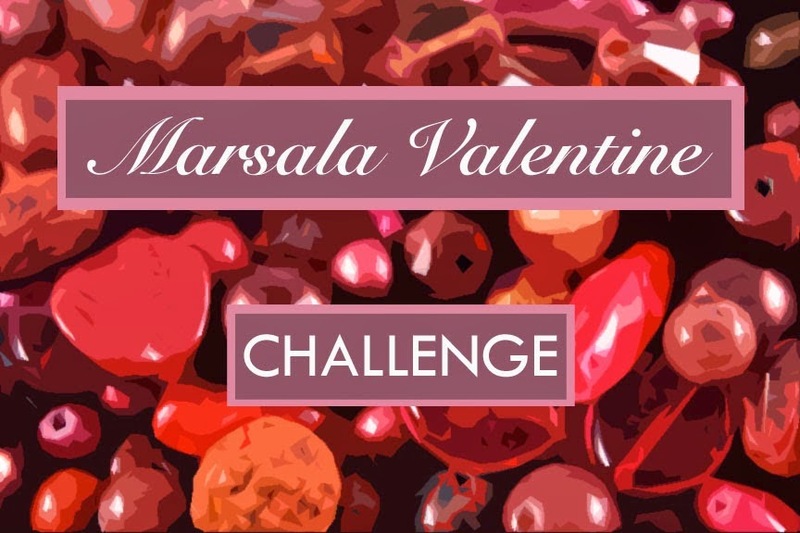 Today is the Reveal for the Marsala Valentine Challenge! If you're not familiar with the challenges, I put together a Design Kit and offer them on a first-come, first-serve basis. Challengers claim their kits and then I send them off around the world! Each participant has about two months to create a piece and at the end of the challenge, everyone shares what they've created! It's a fun way to challenge your creativity and it's always interesting to see what each participant will make with the nearly identical kits. It reveals such diversity! When I put the kits together, I try to visualize an image. It helps bring all the components together. For this challenge, I mostly drew upon the Pantone Color of the Year: Marsala. To find out more about what was in the kit and thoughts behind it, CLICK HERE. Each of the kits also include a Mystery Component! For this challenge, I included TWO! They are polymer clay heart charms by me. I made this necklace! I used some of the vintage Czech glass from the kit to create the dangly fringe. Luckily for me, I have a small stockpile and multiplied the number included in the kit. I made balled copper headpins because I thought the rosy color would go well with this piece. I strung the wire-wrapped headpins from antique brass peanut chain. In a lot of multi-strand designs, it is best to use different lengths, so that everything lays smoothly and flat.... BUT I wanted more texture and used equal lengths to create an elegant chaos. I hung the chain from two strands of vintage Czech glass and African brass spacers. I used a copper toggle to pull it all together. I love the movement of this piece! Nancy Noyes-Ward made the following four pieces. Here's what she had to say about them: "I called this piece, "Going for Baroque". 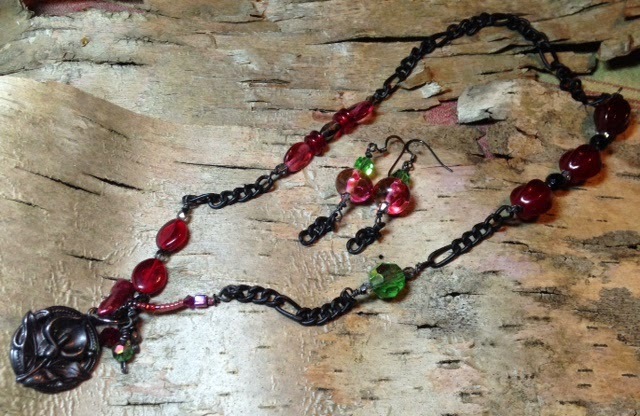 I love the black chain with the ruby red glass and glint of crystal. The green crystals were from an antique necklace owned by my Grammie. The earrings include lampwork glass beads from my own stash." "These earrings were made from the Mystery Components in the kit. I used vintage crystals with the lightweight polymer clay. I have a matching necklace in the works!" 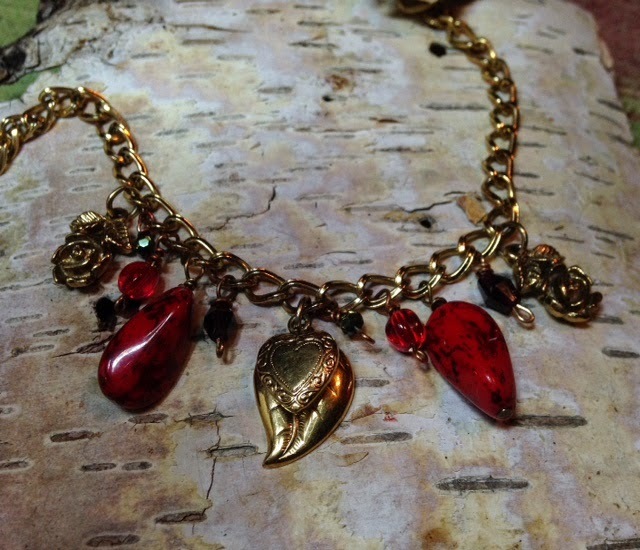 "This charm bracelet was created from a repurposed 1929 necklace. I've got lots more wire-wrapping to do, but I like the red. I'm not a huge fan of gold, so this pushes me to step outside of my comfort zone." "I made a loose luceted piece from the kit sari silk ribbon with sari silk yarn from my own fibers stash. Lucet weaving is a cord-making/braiding technique that dates back to Viking and Medieval periods. I love the large focal and the rustic rough stone. I haven't decided how to finish it yet." These pieces were made by Donna Hoblit. Here's what she had to say about them: "I'm Donna Hoblit from VeraDonna Treasures. The inspiration for my creations is Marsala, Sicily. 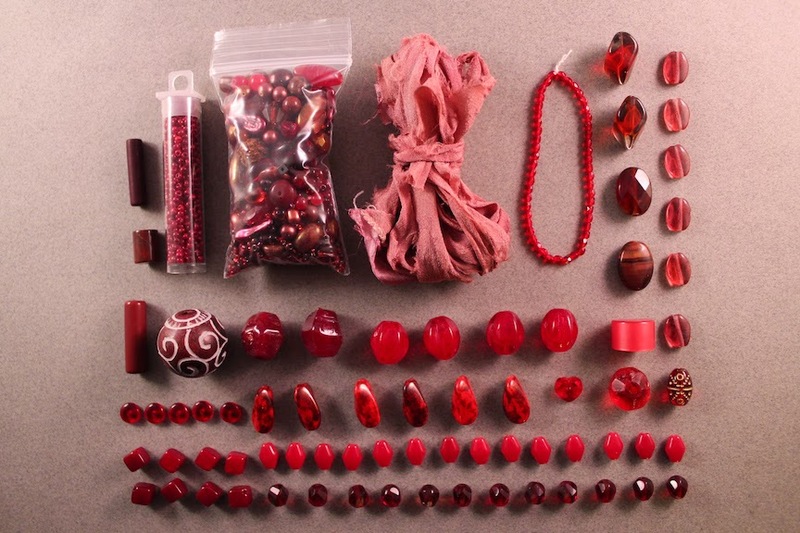 I felt the rich ruby/Marsala tones of the beads reflected the color of the sweet Marsala wine. 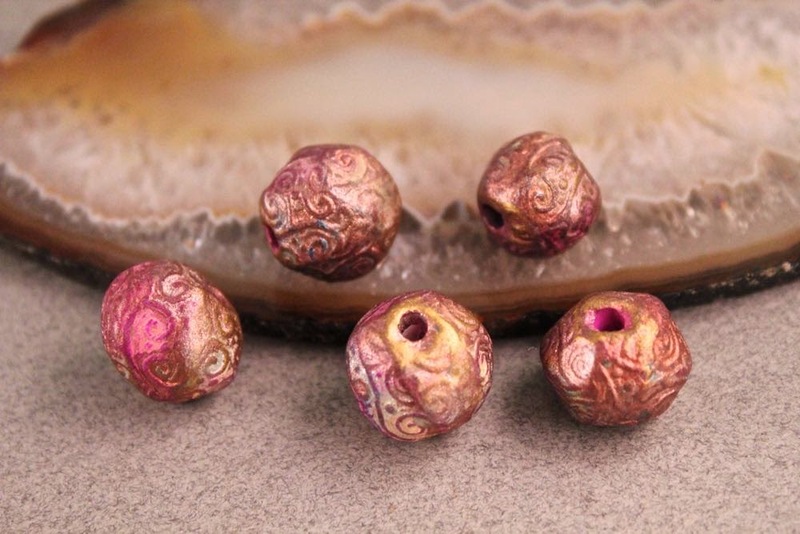 The challenge beads are complimented with grape beads skillfully created by the talented Nolly Gelsinger and copper chain and findings." "Here's another piece I made. It is a necklace with a fringe created from wire-wrapped dangles. The focal is another great lampwork glass bead by Nolly! I think the purple and green really set it off!" These pieces were made by Cheryl Lee Tucker. 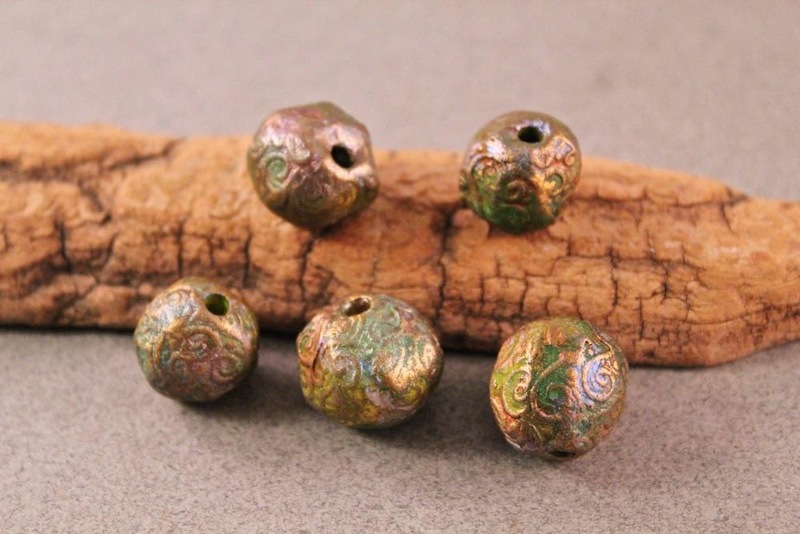 Here's what she had to say about them: "I loved the carved bead! It had to be the centerpiece of my necklace. So I made the focal by incorporating the carved bead with beaded fringe and a herringbone stitched bead. 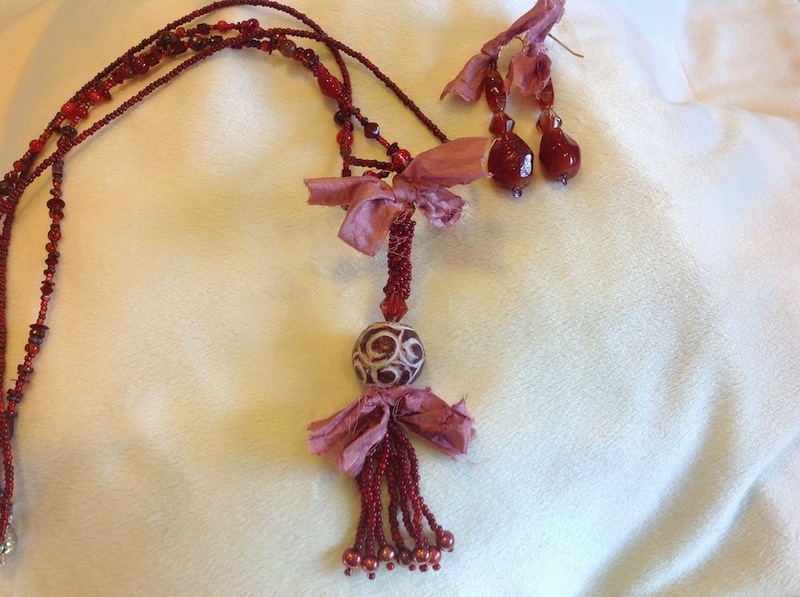 The sari silk provided a lovely soft touch and also highlighted the Marsala color of the bead. 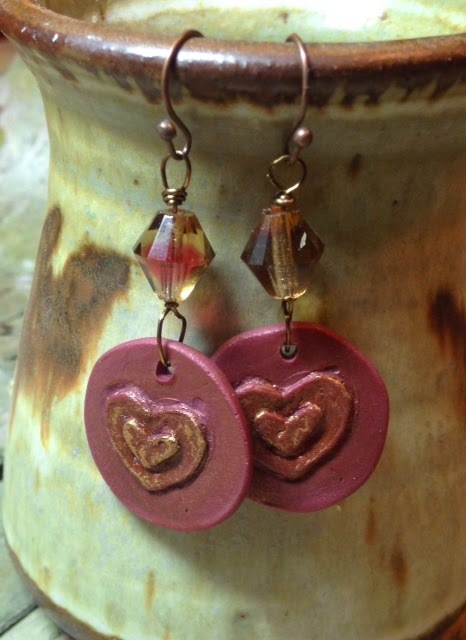 My earrings use more of the gorgeous glass Marsala beads in a simple dangle with the silk. 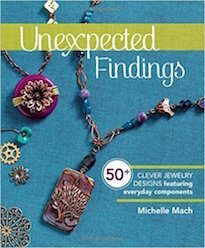 I didn't take a photo of them, but I also made dangly earrings wrapped with bronze wire out of the Mystery Components. I think the bronze accents the gilding perfectly! I can't wait to wear all my creations!" 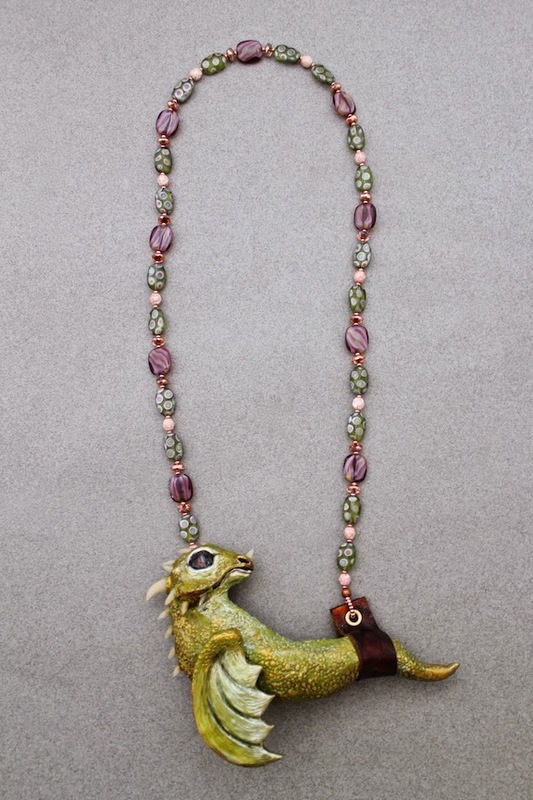 This necklace was created by Laurel Ross. Here's what she said about it: "I know, it's an overly Valentine-y shot, but I couldn't resist it. What a fun challenge! Even though this is a Valentine's Day piece, I tried not to get too heart-themed. So I used two tiny hears at the intersection of the sari silk and the larger bead portion of my necklace. 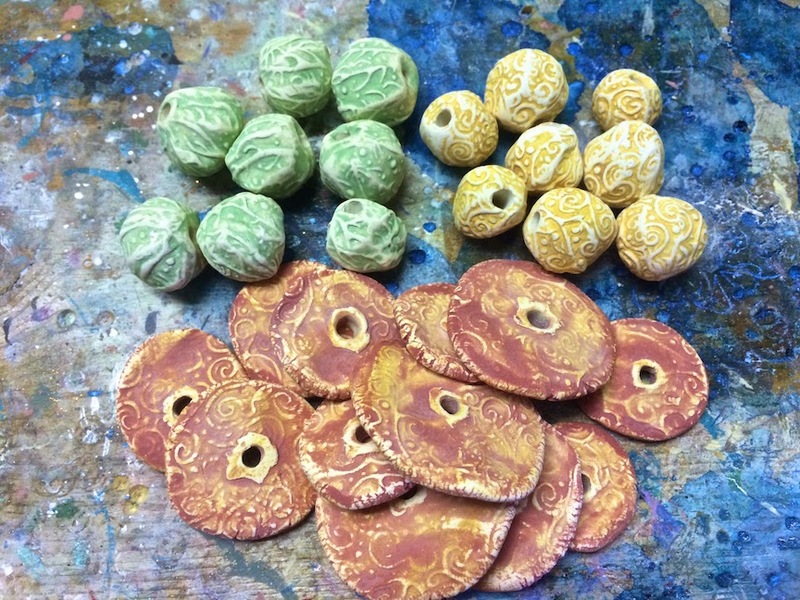 They just so happen to have the same swirl pattern as the main carved jade focal bead. I used a multi-colored silk tassel which has hints of the Marsala sari and gives the piece a worldly romantic feel!" But wait... that's not all! Please swing by the blogs of the other participants of the Marsala Valentine Challenge! Check out what they made and comment on their posts! Next up is the Spring Awakening Challenge! The reveal is set for Thursday, March 19th, 2015! Stop by and see all the lovely creations made with this bright, springy kit! This is the newest Design Kit Challenge! 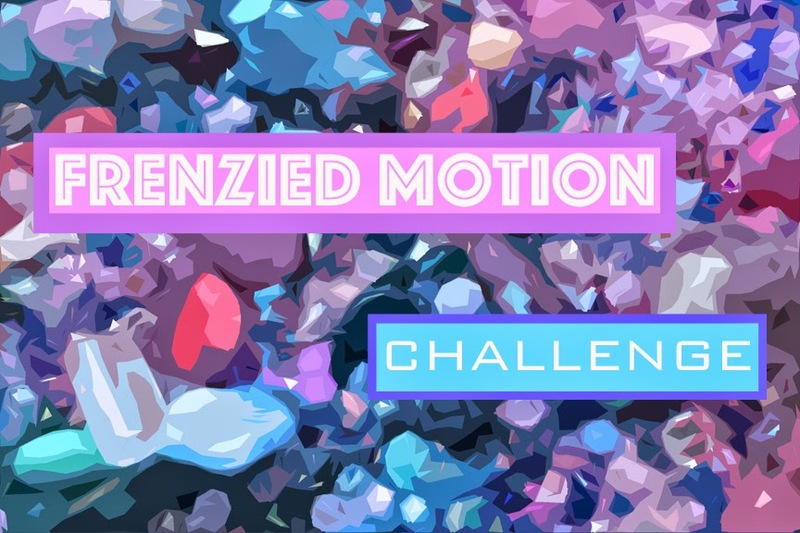 Let me introduce you to the Frenzied Motion Challenge! If you're not familiar with the challenges, it's a fun and informal way to play, create, and challenge yourself with a pre-selected set of components. Let's see what you can make! To participate, you must purchase a Design Kit. This kit features a selection of premium Czech glass (both vintage and new), rose quartz, dyed jade, mother-of-pearl, dyed coral, waxed Irish linen, vintage moonglow lucite, dogtooth amethyst, Swarovski crystal, polymer clay by me, hex-cut Japanese seed beads, vintage Italian seed beads and a Luxury Bead Blend. The Luxury Bead Blend consists of Japanese Miyuki seed beads, Japanese Matsuno seed beads, Japanese Toho seed beads, freshwater pearls, vintage trade beads, Czech glass (both old and new), African recycled glass, jade, stone, vintage sequins, German glass, calsilica, howlite, amethyst, rose quartz, vintage lucite, electroplated quartz, bugles, Swarovski crystals, vintage Japanese glass, Javanese glass, and glass pearls. But wait... there's more! The picture shows a luscious mix of materials, but what isn't shown is the Mystery Component! Each kit will come with a special, handmade component that will remain a mystery until it arrives at your door! The Mystery Component will be publicly revealed on Monday, March 16th 2015! When I was considering what color palette to pick for this challenge, I knew that I wanted to steer clear of a monochromatic one. I looked at the Pantone Fashion Color Report for Spring 2015 and gravitated towards Aquamarine, Scuba Blue, Lucite Green, Classic Blue, Strawberry Ice, Dusk Blue, and Lavender Herb. Seeing these colors together made me think of my early adulthood, working at and attending various nightclubs in New York City. While there was certainly a seedy underbelly and less than desirable elements, what drew me to these places was the frenzied motion. People would lose themselves in the pulse of lights. 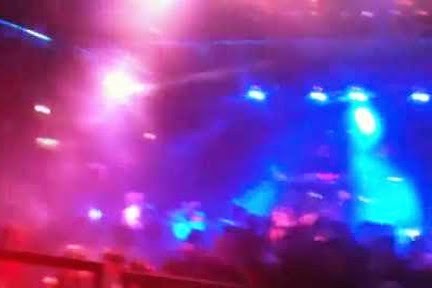 They would surrender to the music and let go to the rhythm, freeing themselves of ego, insecurities, and agendas... becoming a writhing mass of energy. I wanted to capture this sense of electricity and freedom. With your kit, using as much or as little of it as you like, create a piece that showcases your creativity, individuality, and artistic expression. Ideally your creation will spotlight the great assortment of beads included, but the sky is the limit with what you can make! Feel free to use beads from your own stash to augment the offered selection. Whether you use a little or a lot of your kit, make sure to keep your project secret until the reveal date! The reveal date is set for Thursday, April 16th 2015! All sales of the Design Kits are final and there are no returns or exchanges. With that being said... I hope you have tons of fun and I can't wait to see what you create! We are really lucky to have such a supportive local newspaper! 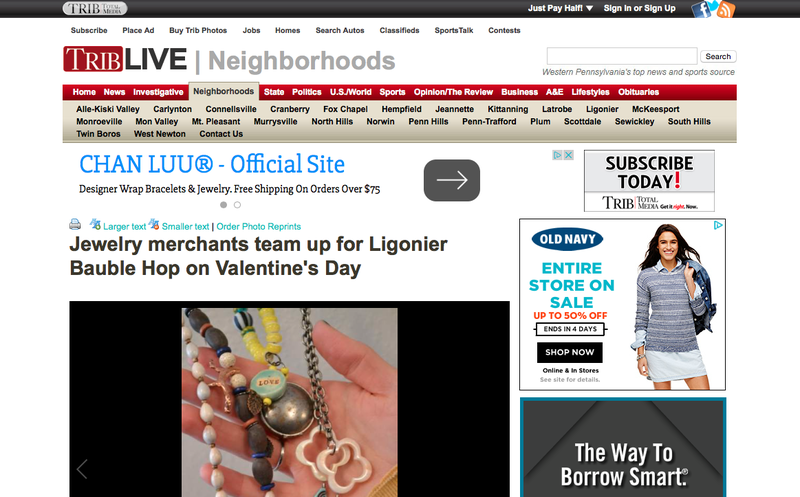 The Ligonier Echo featured the Bauble Hop in the last issue. It's a really nice article about what the Bauble Hop is and what folks can expect by participating! I'm really excited and I'm so glad that we came up with idea! Mark your calendars! The Bauble Hop takes place Saturday, February 14th, 10AM to 5PM! I'm sort of jealous of all the people who can stroll through town checking out all the amazing jewelry and accessories! It should be a fun way of celebrating Valentine's Day! If you're interested in reading the entire article, CLICK HERE. I was originally supposed to do the Marsala Valentine Mystery Component Reveal last month, but it has been a whirlwind of activity and I didn't get a chance to do it until now! The Mystery Component is actually TWO Mystery Components. I sent along two polymer clay heart charms that I made. I touched them up with some acrylic paint and Glider's Paste to bring out the details. To find out more about the Marsala Valentine Challenge, CLICK HERE. And keep your eyes peeled for the Blog Hop Reveal next week! The participants of the challenge will share their creations! The Blog Hop is scheduled for Thursday, February 19th! We've been working with an artisan who specializes in making recycled sari silk ribbons. She imports saris from India, and then hand-cuts, sews, and dyes the ribbons in a rainbow of lovely colors. They are handmade in the USA! I adore her work and we are super pleased to offer them in our online shop! 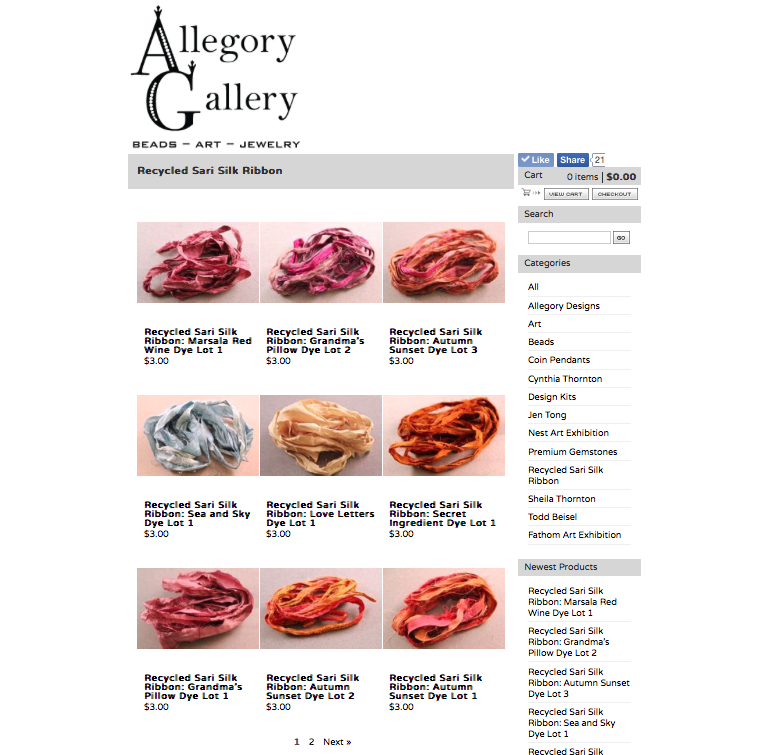 CLICK HERE to check out the new Recycled Sari Silk Ribbon section! I channeled my inner J. Peterman and put on my creative writing hat while creating the descriptions. While I played with the different ribbons, all kinds of stories came to mind and I wrote a new one for each color-way. We hope that you enjoy them and create your own stories with these beautiful ribbons! Pantone has just announced the latest Fashion Color Report! This time it's for Fall 2015. I love the Color Reports. The report is like a crystal ball and you can gaze into the future. CLICK HERE to see the full report, including the colors and their names, the influencers and more! Whenever I thinking about doing a work bench post, I imagine the voice of Samuel L. Jackson à la Capital One commercial saying, "What's on your work bench?" I've been keeping busy making porcelain components. 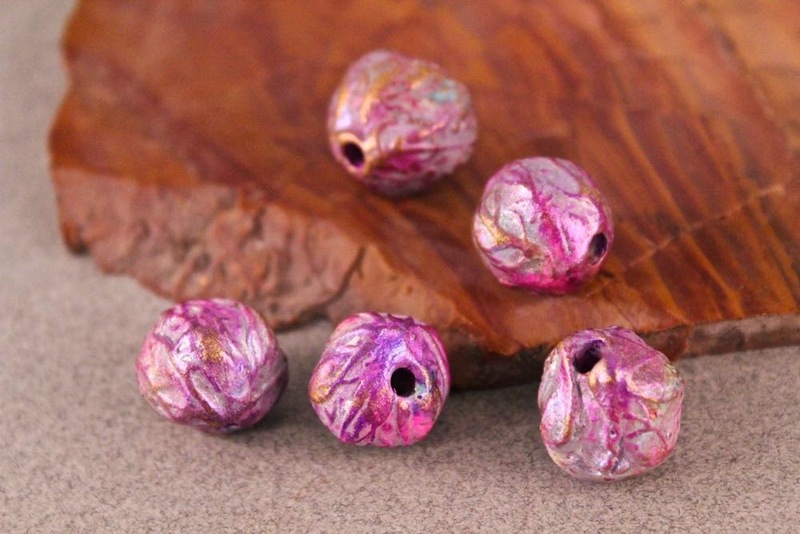 I started making these organic, misshapen beads. 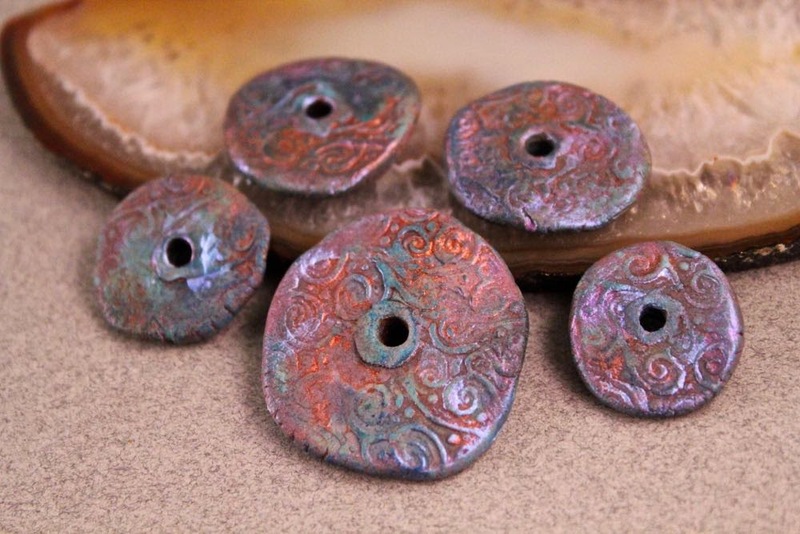 I've also been making these disc-shaped beads. I have this idea that eventually I'll put them together in little bundles or groupings. I want to finish up a couple other textures and colors before I do that though. Keeping with the latest mermaid inspiration, I've been putting together mermaid dolls. I sculpted the head/torso with the idea of a carved figurehead on the prow of a ship. I was going to make the little dolls super detailed... but then I started looking at Queen Anne style dolls and prims and thought about doing more stylized fish tales and arms. They'll be rudimentarily articulated, to provide some movement. I don't really want to carve the backs or get too finicky, so I might add bails and turn these into ornaments. I like that even though I molded and cast the head/torso, each of the tails and arms (not shown) are all different and each piece will be one-of-a-kind. I'm also going to do some really different paint jobs, making them even more unique. 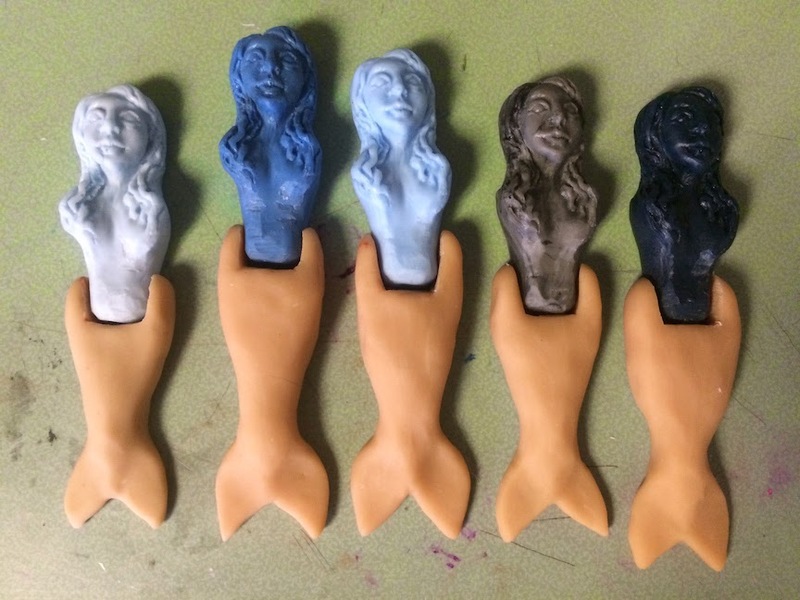 Are you curious how my sister, Cynthia Thornton of Green Girl Studios, creates her sculptures and casts resin? Look no further! 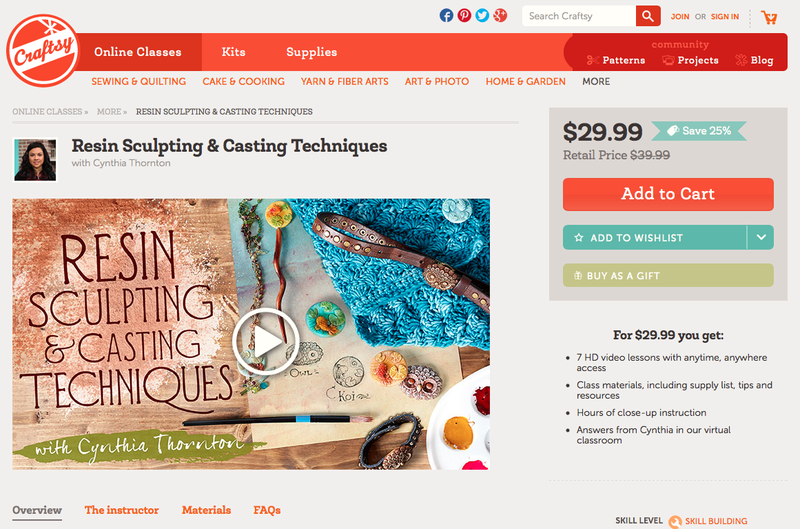 She has produced a Craftsy class where she shares a boatload of information and reveals some of her secret techniques! For a limited time, you can also save 25% off! This is a fantastic deal! CLICK HERE to check it out! I highly recommend it! I was delighted to receive an invitation from Erin Prais-Hintz asking if I'd be interested in participating as a Pretty Palettes partner! It is an honor to be counted amongst such a talented group of artisans. Many thanks, Erin! If you're not familiar with Pretty Palettes, it's a design challenge created by the illustrious Erin Prais-Hintz. She selects an image, creates a color palette, and curates a selection of beads that can be purchased at your local Michaels. At the end of the month, there's a reveal! 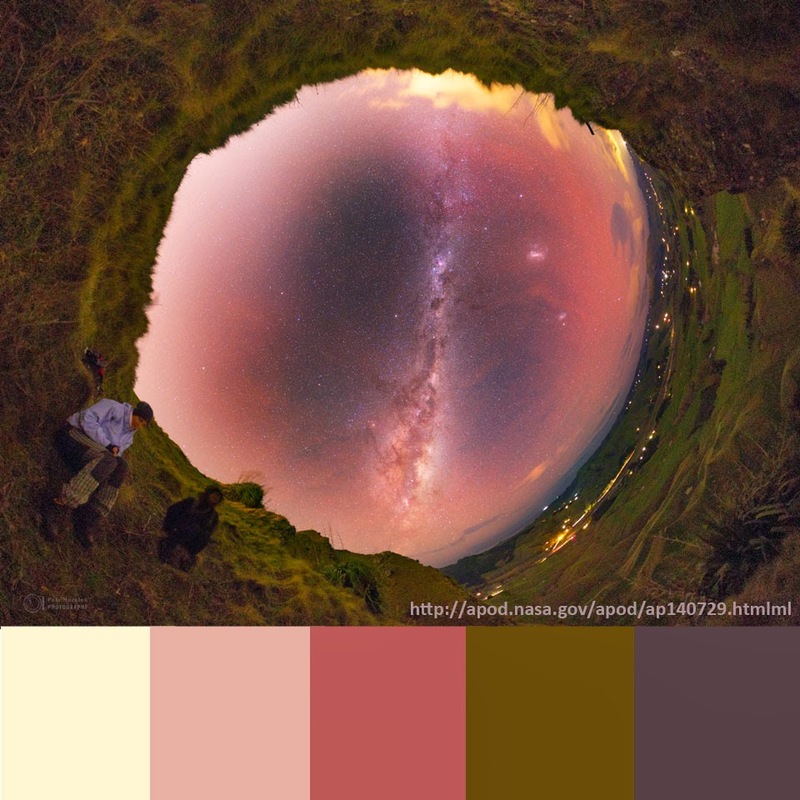 For February, she selected a fisheye photograph by Petr Horálek called, "A Sky Portal in New Zealand". It's a really striking image. It shows an airglow that is surrounded by a peripheral landscape peopled by his sister and an acquaintance. It's funny that Erin selected this image and thought of me. Ligonier actually has an airglow observatory! The last time I trekked out to see it, there were swarms of bees and it looked pretty abandoned, but it is still a cool landmark. CLICK HERE to learn more about our Airglow Observatory. 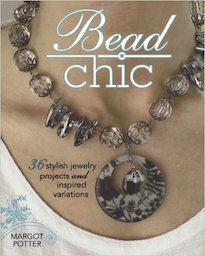 Want to see what beads Erin picked out for this challenge? CLICK HERE to see the spread and check out the itemized list. 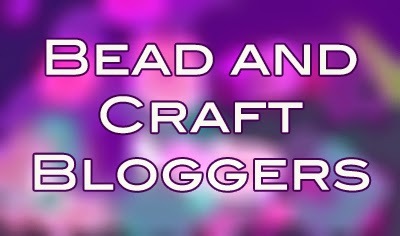 I'd love to see what you'd make with these beads! If you're so inclined, drop by your local Michaels, pick up some pretties, and play along! The reveal is set for February 25th!